This piece depicts a series of five consecutive human figures in the palm of another, each one smaller than the last. 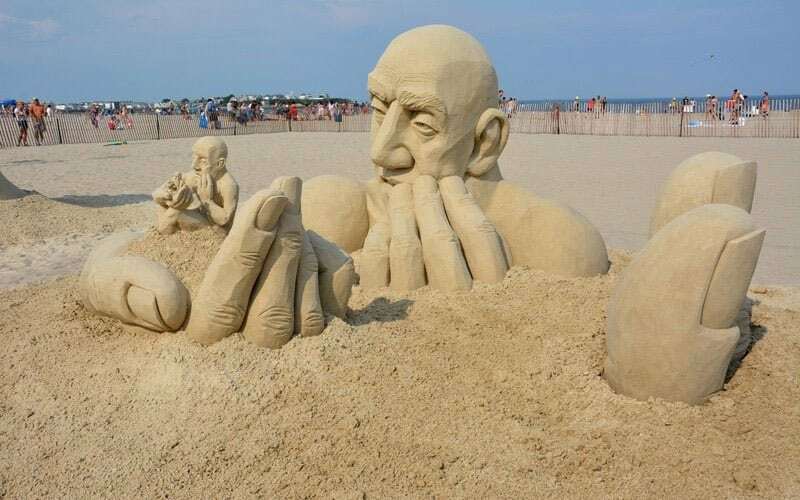 It was created by Cleveland artist, Carl Jara who has won nine World Championship medals in sand sculpting. Using only sand and water, Carl creates incredible works of non-permanent, large-scale art.